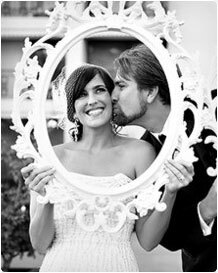 Our wedding planners will take the worry out of planning and they will give you more time to enjoy the moment. Please feel free to contact us with any questions you may have about wedding locations in Slovenia! Slovenia is the most romantic country on earth for destination weddings. Slovenia is a dream county. Breathe life into your dream wedding and choose Slovenia to be your wedding place. Experience the magic, beauty and diversity of Slovenia. Rogaška Slatina is a paradise, removed from the hustle and bustle of big cities; it is protected by magical forests, untainted nature and unique mineral water with healing properties. In the hearth of the spa park, with well tended walking paths, one can find the beautiful Hotel. In this hotel, nature, history and regal comfort entwine. Centuries old stories come to life in it. 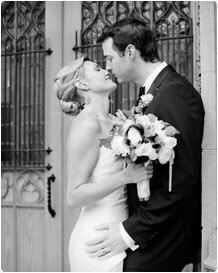 The state ceremony begins with the beautiful sounds of string instruments in the Tempel Pavilion, in the heart of the spa park, and continues in the elite A la carte Restaurant Kaiser. A soft, elegant space in sunny, caramel colours of autumn, while the exceptional cooking skills, creativity and hospitality of the staff complement a sense of warmth and being at home. After the end of the celebrations, the newlyweds retreat into a specially prepared wedding apartment, where the first wedding night may be spent with a sparkling glass of golden champagne and unforgettable moments woven into the prettiest fairy tale of their wedding day. Should the couple want, they may have a church wedding in a small, romantic church of Saint Ann, which is close by. At Rogaška you may live your wedding fairy tale as emperor and empress. Rogaška Slatina hosted some very important individuals in the past, with one of the most prominent certainly being the emperor Franz Josef with his wife Sissi. At Rogaška, they left a significant mark, and are still spoken about to this day. It's the perfect choice for an intimate and memorable wedding. Create a day filled with joyful romance and a playful spirit. It's the perfect choice for couple if they want start their new life together in style. We can handle each and every aspect so you can enjoy the process.